Several Yadkin County Home Demonstration Club Scrapbooks, from the collections of the Yadkin County Public Library, are now available online at DigitalNC. The scrapbooks were produced semi-annually by the Yadkin County Home Demonstration Club. 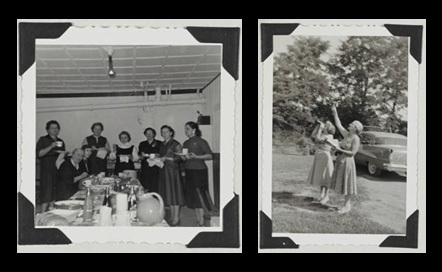 The scrapbooks cover the club’s projects and events, and provide a unique snapshot of the social activities of women in rural North Carolina in the 1950s. Some of the highlights from the 1957 scrapbook include “A Miss and Her Money,” a pamphlet published by the Institute of Life Insurance in 1956 to introduce money management to girls; several pages of recipes for refrigerator jams; rules for hosting and attending a tea party (p. 62); coverage of the annual Dairy Queen beauty contest; and an incredibly thorough treatise on the selection of household linens (p.92). The scrapbook also reports on the Home Demonstration Club’s participation in the Ground Observer Corps, a Cold War era civilian force which used binoculars or the naked eye to search the sky for threats from Soviet and Japanese aircraft (see photo). Combine fruit and sugar. Let stand about 20 minutes, stirring occasionally. Stir the pectin into the water, bring to boiling, and boil rapidly for 1 minute, stirring constantly. Remove from stove and let stand at room temperature 24-48 hours or until jelled. Seal with paraffin and store in a freezer. Or it will keep several weeks at refrigerator temperatures. Makes about 6 glasses. A photograph of James Bracken Watlington and his sister, Mary Jane Watlington has been digitized and is now available online along with several other artifacts from the collection of the Museum & Archives of Rockingham County. The photograph of the Watlington children is a particularly interesting because the dress worn by James has also been digitized and is likewise hosted on DigitalNC.org. 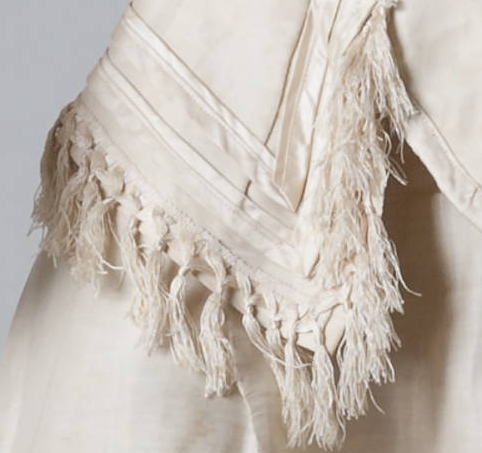 The photograph provides context for the garment, and the garment adds to the level of detail visible in the photograph, which is decidedly a win-win for all. 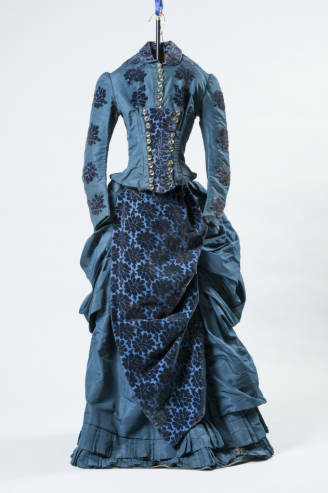 The digitized garment shows the rich blue and gold colors and embroidery in the dress as well as many details that were not captured in the 1895 photograph of James and Mary Jane. 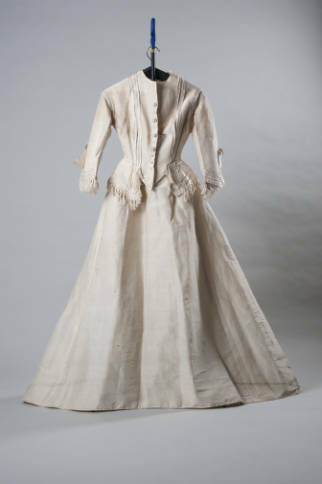 James’ dress, which is contemporary with the portrait of the children, is approximately 125 years old and in impressive shape considering its age. Mary Jane and James Bracken Watlington, were born in the 1880s to a prominent Caswell County family. 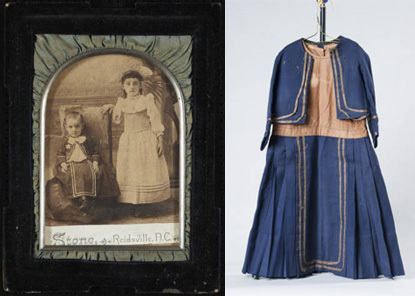 The photograph of the siblings showcases the differences between boys’ and girls’ dresses; James’ dress is navy blue with masculine, nearly nautical details, and features a bow tie. Mary Jane’s costume, by contrast, is lacy with ruffles at the shoulders and sleeves, of a light color, and completed with a girlish hat. Historically, boy’s dresses were worn by toddlers and young boys for convenience’s sake; they were more practical than breeches, which often involved complicated latching mechanisms too difficult for little hands to maneuver. Dresses were practical for young children of all ages as it was easier to extend the hem as the child grew to increase the longevity of the garment – an important quality when garments were so much more expensive than they are today. James’ dress, like all boys’ dresses in general, has masculine features that differentiate it from girls’ dresses, such as the color or cut of the neckline and sleeves. Boys were presented their first pair of pants in a breeching ceremony, typically between the ages of around 4 and 7. Early student newspapers from Atlantic Christian College (now Barton College) in Wilson, N.C., are now available in the North Carolina Newspapers collection on DigitalNC. The papers cover more than six decades of college life, from 1927 to 1978. The Summer 2013 newsletter from the North Carolina Digital Heritage Center is now available online. Inside, you’ll find news about a major milestone for the Center, learn about historic newspapers available on DigitalNC, and see featured materials from Stanly, Rockingham, and Alleghany counties. Mr. Blandings Dream House in Rocky Mount, N.C. When it was nearing time to release the 1948 comedy “Mr. 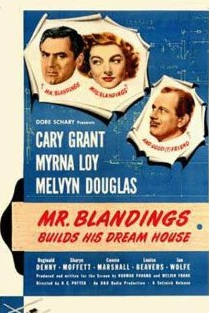 Blandings Builds His Dream House,” starring Cary Grant and Myrna Loy, the studio had a novel promotion idea. The story features two harried New Yorkers who move to the country and get in over their heads trying to renovate an old house. In what must have been one of the more elaborate promotional stunts of the time, RKO Pictures built 73 “dream houses” throughout the United States, including two in North Carolina, in Greensboro and Rocky Mount. The dream houses were fully modern buildings, often equipped by General Electric, which used the opportunity to show off many of their new products. The houses were open to public tours for about a month, often with the price of admission going to local charities. They were later sold by raffle. The dream house in Rocky Mount was located at 1515 Lafayette Avenue. According to the 1950 Rocky Mount city directory, the house was originally owned by Samuel L. Arrington. Local photographer Albert Rabil photographed the interior of the house, probably around the time of its opening. Rabil’s photographs are preserved in the Braswell Memorial Library (Rocky Mount, N.C.), and many of them are available on DigitalNC, including twelve showing the interior of the dream house. 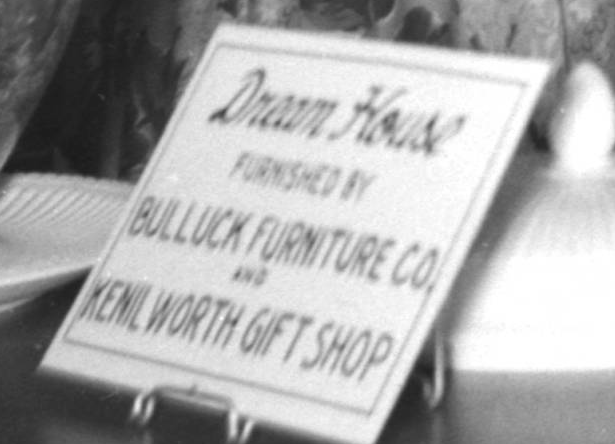 The dream house was clearly a nice promotional opportunity for businesses all over town. The photographs show signs listing the companies that provided everything from the furniture to the windows. Most notable is the kitchen, filled with gleaming GE appliances. The images are not as clear as Rabil’s studio photographs but there is definitely enough detail to get a sense of what a modern “dream house” looked like in 1948. Wikipedia article on the movie Mr. Blandings Dream House, including a list of the locations of all 73 dream houses. General Electric Dream House ad from the June 28, 1948 issue of Life magazine. 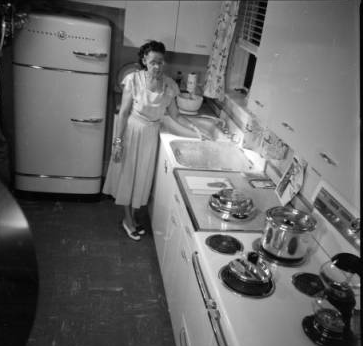 Article about the dream house in Spokane, Washington, from HistoryLink.org. Article about the dream house in Portland, Oregon, from Vintage Portland. The Museum & Archives of Rockingham County recently worked with the North Carolina Digital Heritage Center to photograph and display online several historic artifacts from their collection. The Museum, located in the historic county courthouse in Wentworth, N.C., documents all aspects of county history through its extensive collections of artifacts, documents, and more. Other items photographed from the collection include milk bottles from local dairies, an old adding machine from a local store, Christmas cards from a local schoolteacher, and a fragile, somewhat scary-looking doll from the 1920s. 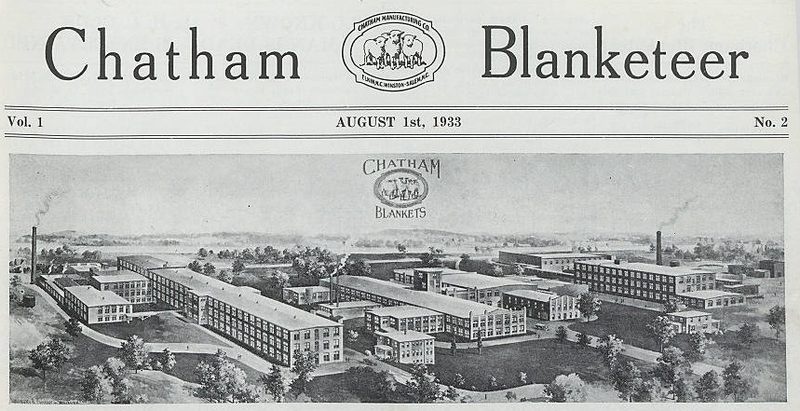 Early issues of the Chatham Blanketeer, the company newsletter from the Chatham Manufacturing Company, are now available on DigitalNC. The Chatham Manufacturing Company was established in the late 1860s in Elkin. The company grew and expanded in the 20th century and would become famous for its wollen “Chatham Blankets.” Learn more about the company in the Encyclopedia of North Carolina, available on NCpedia. The Blanketeers were produced for the company employees and contained more personal than business news. Columns reported primaily on social news and events and the mill baseball team was featured regularly. Issues from 1933 to 1940 are now online. 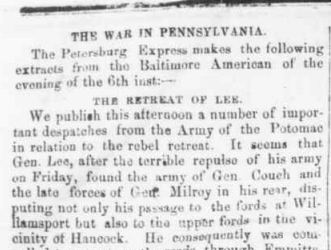 The original copies are in the Elkin Public Library, a branch of the Northwestern Regional Library system. 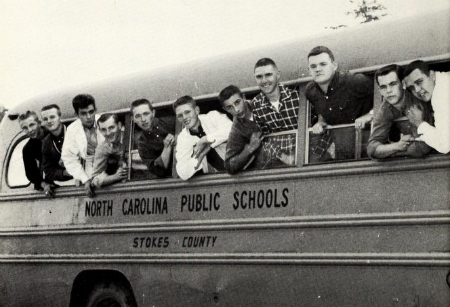 Historic student yearbooks from the Stokes County town of King are now available in the North Carolina High School Yearbooks digital collection on DigitalNC. The online collection includes seventeen yearbooks from King High School, ranging in date form 1948 to 1964. The original yearbooks are in the collection of the King Public Library, which is a part of the Northwestern Regional Library system. 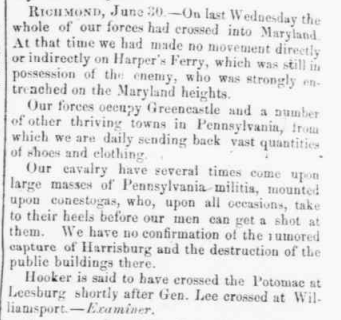 As the nation commemorates the 150th anniversary of the Battle of Gettysburg, I wanted to take a look at how people back home in North Carolina would have learned about the battle through their local newspaper. 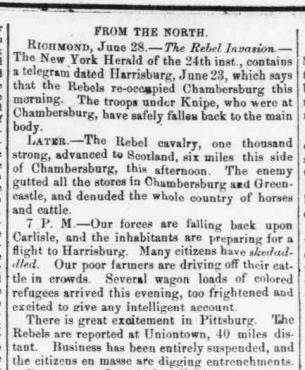 The North Carolina Newspapers collection on DigitalNC includes the Fayetteville Observer from the 1860s. 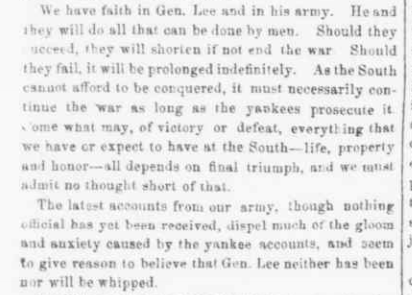 The Observer was a paper of regional importance and reach and we can assume that many people in eastern North Carolina would have looked to it for news of the war.